This silo is built to permit specifications, he explained, and there has never been violations of that permit the entire time the silo has been there. Stickler also charged that the plaintiffs had five years to monitor the interior of the school for particulate matter but they chose not to do so. He explained that the silo is heavily inspected by the Division of Air Quality and the EPA. 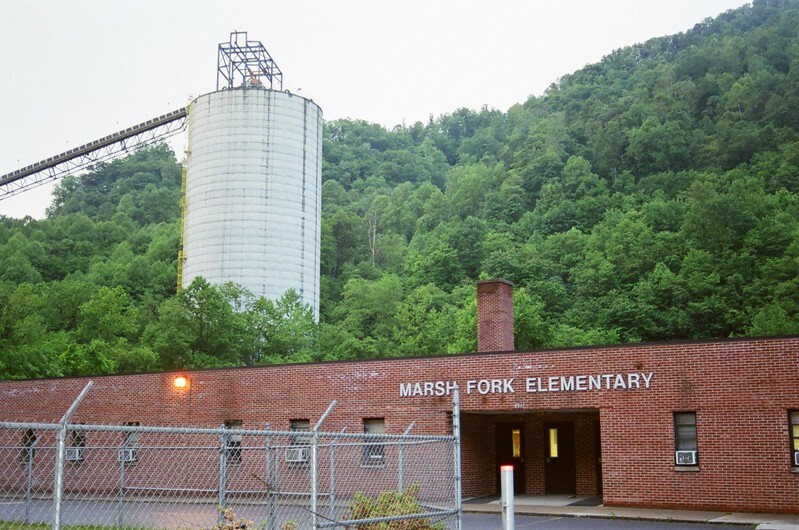 We’ve had much coverage over the years of the situation down at Marsh Fork Elementary, going back to the controversy over the WVDEP’s approval of the silos, to the state Supreme Court’s ruling on that matter, and the more recent plans for a new school out of the path of Massey’s operations. See also here and here for more about questions regarding the safety of the school’s current location. Rest in peace to Judy Bonds, the director of Coal River Mountain Watch, and one of the people who were at the forefront of protecting Marsh Fork’s rights to a clean environment for child health. She raised a voice and people began to listen. Of course, she had her battles. And to think, she died of lung cancer.